Virginia’s Appalachian Mountains provide a gorgeous backdrop for the small town of Roanoke, VA. Likewise, even the urban areas of the city are pleasantly quaint, and the Appalachian Trail is less than 30 minutes from downtown. Consequently, Roanoke and its surrounding areas are home to some of the prettiest views in all of southwestern Virginia. If you plan to visit the area, these five views are must-sees. There’s no better place to get a bird’s eye view of downtown Roanoke than from the top of Mill Mountain. The top of the mountain is occupied by the second largest illuminated star in the world, which is constructed of over 2000 feet of neon lit up with nearly 18,000 watts. 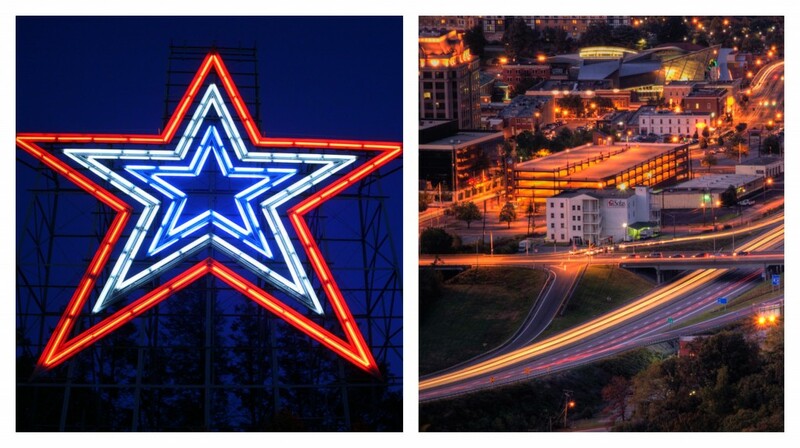 Underneath the star is an observation deck where visitors can gaze across the Roanoke Valley. 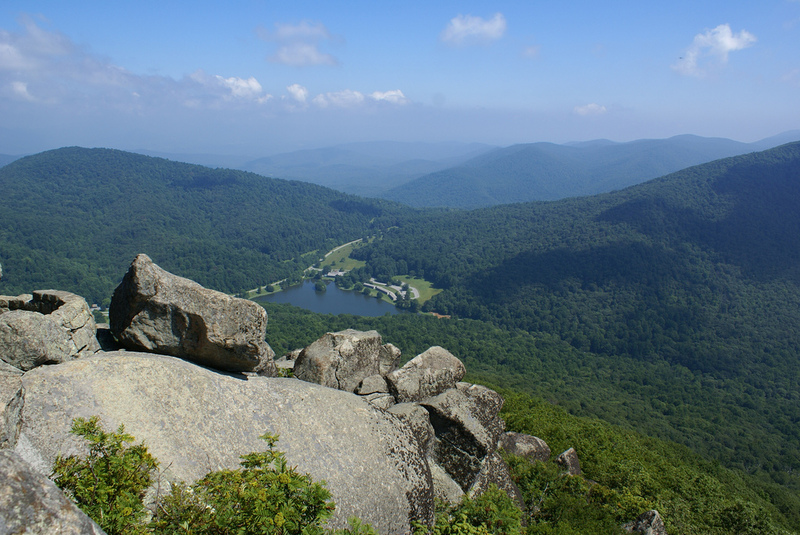 Just a short trip from Roanoke on the Blue Ridge Parkway stand the Peaks of Otter, a cluster of three mountain peaks once thought to be the tallest in the state. Thomas Jefferson, when he visited the peaks, wrote, “The mountains of the Blue Ridge, and of these the Peaks of Otter, are thought to be of a greater height, measured from their base, than any others in our country, and perhaps in North America.” Although this was long ago found to be false, the views from the summit of these peaks are still breathtaking. 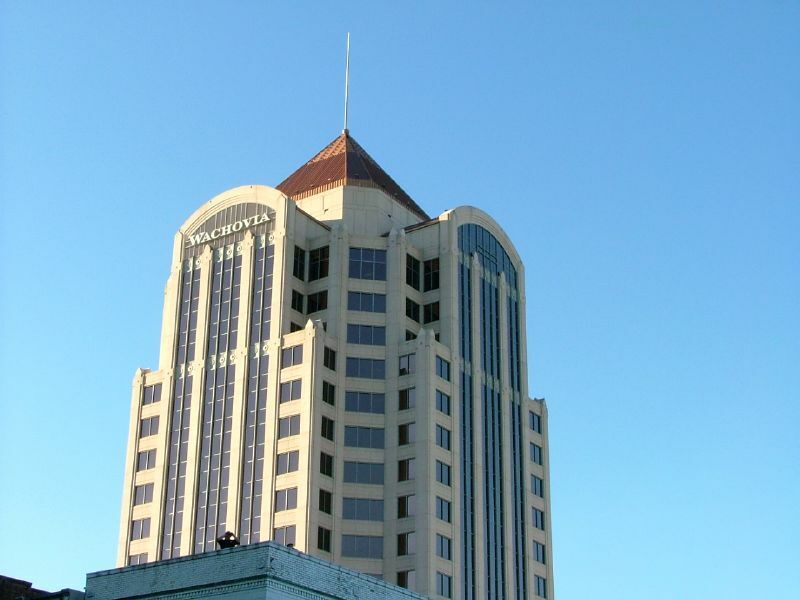 Built in 1991, the 21-story Dominion Tower is the tallest building in downtown Roanoke. Multiple businesses have occupied the tower, but it is currently being used by Wells Fargo. The very top floor of the building isn’t open to the public, but visitors are welcome to take the elevator to the 19th or 20th floor to have a look at the city below. Fun fact: the exterior of the Dominion Tower is covered by 1260 windows! By far the most photographed spot on the Appalachian Trail, the summit at McAfee’s Knob has to be one of the most amazing mountain views on the east coast. A massive slab of rock juts out from the summit, allowing hikers to dangle their legs and feet over the hundreds of feet below (if they’re brave enough). 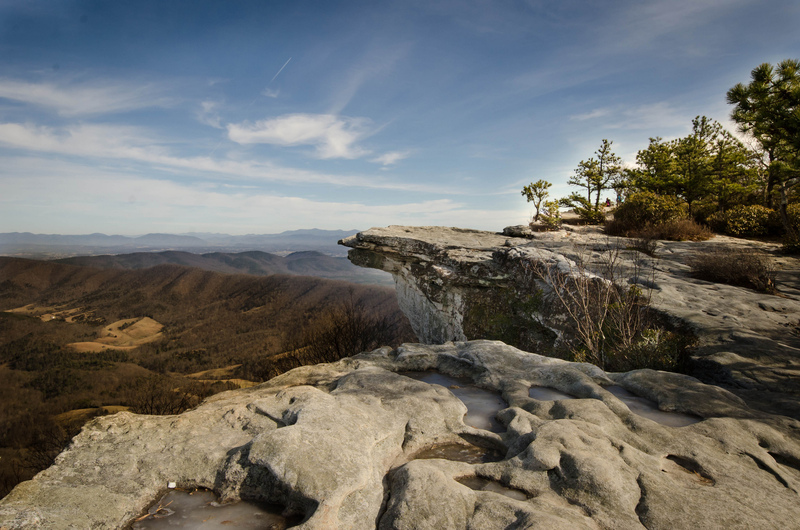 Another popular hike peak just miles from McAfee’s Knob, the Dragon’s Tooth Trail terminates at a peculiar rock formation for which the peak is named. The jagged rock resembles a large tooth, and visitors can climb atop for a stunning view of the valley below. Visit our showroom to view our selection of replacement windows, vinyl siding, gutters, insulation, and doors. We provide free estimates for our installation services.